Living… in a condo in Essex Falls, N.J. Dr. Melfi lives the lifestyle that her career and education have prepared her for. 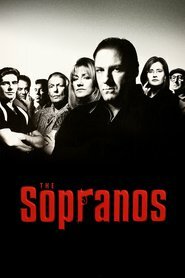 She lives a relatively isolated life until she meets her patient Tony Soprano, a Mafia boss who opens up a side of North Jersey (and of the human mind) that she’s only encountered in textbooks and movies. Profession… psychiatrist. Dr. Melfi trained at Bard College and Tufts University School of Medicine. She’s an accomplished therapist who takes pride in her work. She sees life through the lens of the Diagnostic and Statistical Manual. Relationship Status… divorced. Dr. Melfi has a relatively amiable relationship with her ex-husband. They have a son together. Personality… professional. Even though Dr. Melfi confesses many unprofessional or immature thoughts to her own therapist, she makes sure that those thoughts and feelings stay away from her own practice. She is steady and reliable. If you need a good psychiatrist in Northern New Jersey, you’d do well to make an appointment with Dr. Melfi. Jennifer Melfi's popularity ranking on CharacTour is #4147 out of 5,000+ characters. See our top-ranked characters and read their profiles.